Spoken Word Poetry is a form of poetry which is written on page but intended to be performed before an audience on stage focusing on the use of intonation, physical movement, gesture, etc. and addressing social, religious, political and other relevant issues. The art which has been in existence for a longtime, making wave in places like America and other developed countries, though it began as one of African Oral traditions is used in telling stories and passing on history. Its development/acceptance in Nigeria can be credited to Sage Hasson who has been described as Nigeria’s Premier Spoken Word Artiste. One may now be bold to say that the art has come to stay in Africa’s most populous country. Though some may argue that the revolution actually started with Poets like Beautiful Nubia in Lagos, and others say the Abuja Poets own the credit, it has been observed that the revolution was stalled for a long time but has taken a new acceleration with the efforts of Poets like Torpedo Mascaw (Tope Sadiq), Dike Chukwumerije, Plumbline, Olumide Holloway (Olulu), Enigmatic Olumide, Efe Paul Azino, ken Ike, Bob Ekat, Donna, Uche Uwadinachi, AJ Daggar Tola, etc who could be referred to as some of the lead icons in the Industry. There has been a more rapid growth in the development of the industry with the new involvement of younger poets who organize poetry events in various institutions across the country and lead various poetry movements. 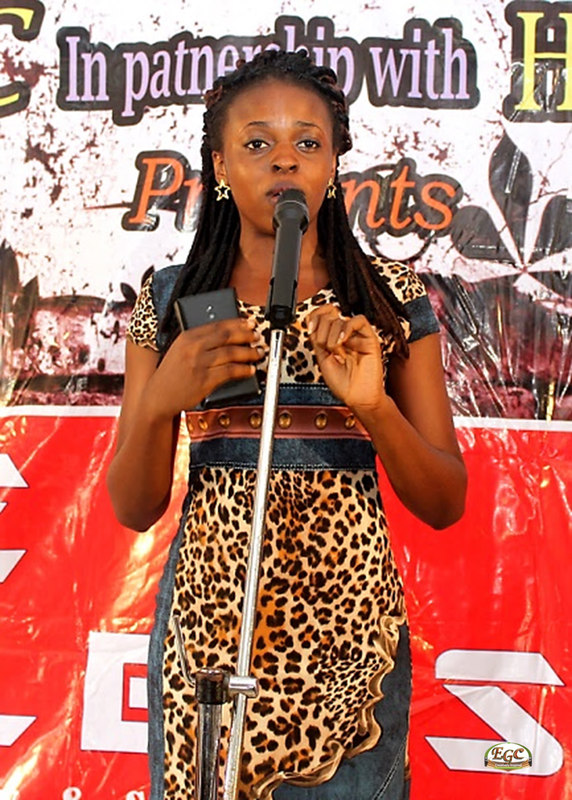 This year Ajakaye Victor popularly known as Veekthur Lyric-Poet organized a poetry event called "Go Poethic" at Obafemi Awolowo University Ile-Ife, Adetimilehin Vic'Adex organized "Words On Rampage" at Ladoke Akintola University of Technology Ogbomoso, James Ademuyiwa (James Conco) organized "Empowered By Words" at Moshood Abiola Polytechnic, Abeokuta and Sunday Olaoluwa organized "Poetic Blaze" at the University of Ibadan. Graciano Enwerem, known as a fore leader of the Figures Of Speech movement, also organized Rendezvous in Port Harcourt and the event saw poets and other artists coming from all over Nigeria. Another similar feat was earlier done by Ehiz Momodu and his friends with “Uniben Literary Festival”. The year will be ending with event such as Osigwe Benjamin’s “Beauty of words” held at Navy Sailing Club in Ojo Lagos, among other events all over the country. The presence of websites where spoken word audios and videos of Nigerian poets can be watched and downloaded from different parts of the world is also helping in the growth. Release of Spoken Word audio debut album "Water For Roses" by Donna Ogunnaike (Donna), "Let There Be Light" by Paul Alowo and Isreal Adewole, “Freedom” by Bash; spoken word videos such as “Black” by Arc Angel, "Mr Traffic" by Saints Ryhmes, "I COUNT" by Enigmatic Olumide, the tribute to Chinua Achebe by Dike Chukwumerije, etc, have contributed to the development of the Industry. Yet more people are still working on upcoming similar projects. There have also been radio shows and TV shows aimed towards the promotion of this art. Examples of such are “Vivid Verses” produced by Komson Komolafe, “Top 5 Spoken word Videos” a weekly produced by Tokunbo of GreatPath TV and presented by Rapsodee. Many editions of “Word Up” & “War of Words” have been placed on TV Stations for airing. EGC is also planning a TV show and may start airing early in year 2016. Some TV stations like Nigerian Television Authority, radio stations like Metro FM and Rhythm 93.7 could be commended for their efforts in poetry promotion. So far, there have been organized Slam Competitions such as Abuja Literary Society Slam, War of Words, Eko Poetry Slam, Word Slam, #BB (Be Blessed) Mini Slam amidst the rest. These have also contributed to the development of the Industry as the poets are encouraged with prizes and new people are wooed into the art. These, some believe, helps to make many youths shun violence and other vices and stick to productive use of their brain. The incoming of Bassey Ikpi into Nigeria, an American based Nigerian spoken word poet known for being featured on National Touring Company of Russell Simon’s Def Poetry Jam in 2012, organizing Naija Poetry Slam that was believed to be the first major National Poetry Slam competition in Nigeria has contributed alot to the development of the Industry. 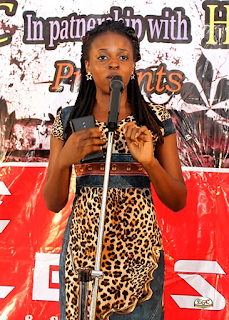 Also Atilola Morounfolu who represented Nigeria at the FLUPP Literary festival in Rio de Janerio and making it to semi-finals of the slam competition is sure a thing to boast of in the Industry. A similar feat was achieved when Ehiz Momodu traveled to Germany for poetry not too long ago. Quite a number of poets have emerged contributing greatly to the development of the industry. They are organizers of spoken word poetry events such as Olumide Holloway known as Olulu who has been described as one of the most successful people so far when it comes to promotion of Spoken word poetry in Nigeria. He, like others, may have many stories to tell about the struggles of finding sponsors and often times using personal funds to host events. The consistency of Dike Chukwumerije in hosting poetry shows in Abuja is not also without sweats. Likewise, Torpedo Mascaw’s achievement in Lagos, Abuja, and Ghana with Freedom Hall is not that easy; it was born out of sacrifices. 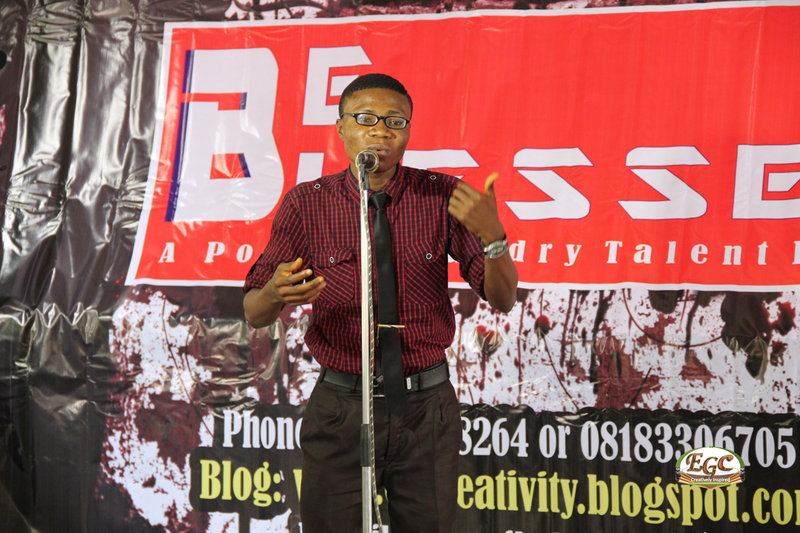 Enigmatic Olumide might have been one of the people who first took Spoken word poetry shows out of major cities like Abuja and Lagos, to Ibadan, with #BB poetry event, but he has a lot of stories to tell of lack of sponsors and rejections because of sentiments about places that are not “major cities” (most of which are now proven wrong). 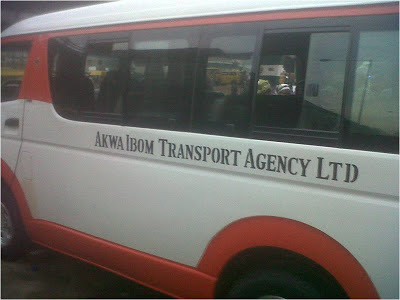 There have also been efforts from people such as Plumbline, Efe Paul Azino, AJ Daggar Tola, Wome Uyeye, etc. But all not without struggles, and, the spoken word industry cannot yet boast of attaining a favourable height in Nigerian entertainment landscape yet. The development and growth of Nigerian Spoken-Word-Poetry industry is by far like that of a dwarf when compared with giants like Nigerian music industry, comedy industry, and film industry. The need for involvement, support, or sponsorship of big corporations, government or non-governmental organizations screams out to concerned guests at most of these events. 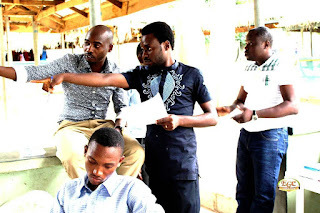 Though Efe Paul achieved support from a bigger organization like Nigerian Brewries for the Eko Poetry Festival 2015 he hosted, more support to other promoters also will go a long way in helping the industry at large. Another factor that may help the industry lies with the way these poets work with one another. For instance, there could be a joint association which will be an umbrella responsible for promoting interests and as well creating massive awareness to the general public about the Industry. 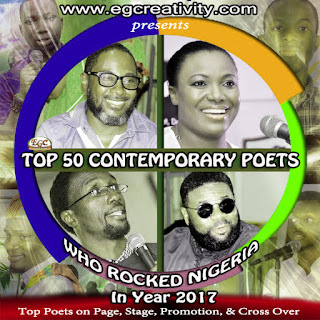 It may not surprise you that despite recent developments people still dearth knowledge of existence of Spoken-Word-Poetry Industry in Nigeria. The age or class or style stigmatization of other Poets by some Poets, the segregation, forming of caucuses may also be a bane; as the industry grows, one more key factor that will help is if these Poets work with one another without sentiments or favour. In all, we can rightly say that Spoken word poetry is growing faster than ever before in Nigeria, but the sustenance of this growth depends on internal and external factors; the spoken word poets and their supporters. Ijalusi T. Samuel is a Poet who is currently studying to be an Accountant. 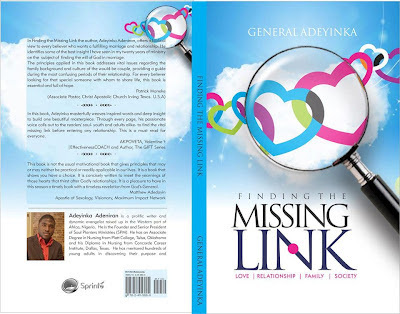 He resides in Ibadan and writes for EGC. His core areas are issues relating to creative world and our society. This is a very fine piece. I just needed to read this. Very informative and well written.